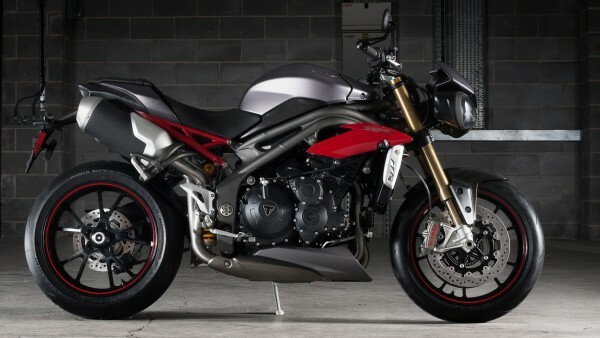 Triumph motorcycles has unleashed the new and upgraded versions of its flagship street fighter, the Speed Triple S and Speed Triple R. It will make its global debut at EICMA show at Milan that is scheduled to be held between 19 November and 22 November. The bikes look refreshed with the new headlight and visor shape engine. The main update though is the revised 1050 cc, liquid cooled, in-line 3-cylinder engine. Though no official figures have been declared yet. But, the bikes have developed to perform better than the earlier versions. The engine has received a number of changes in it. These changes include, new cylinder heads, new piston design, new and better intake and exhaust ports, combustion chamber, new machined cranks and a new exhaust which allows 70% more free flow. New ride-by-wire throttle bodies helps to increase the fuel economy by 10%. Other than these a slipper clutch and a better radiator have been installed. The bike also gets electrical features such a ABS, Traction Control and ride-by-wire which provides 5 different riding modes for the bike, namely – Rain, Road, Track, Sport and one custom mode that allows the rider to set things according to his wish. 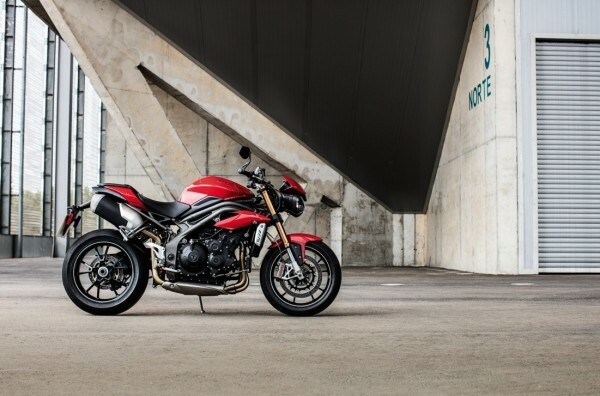 The Speed Triple S includes ride-by-wire throttle, rider customized ABS and Traction Control and fully adjustable suspensions which include 43 showa forks in the front and a matching monoshock in the rear. 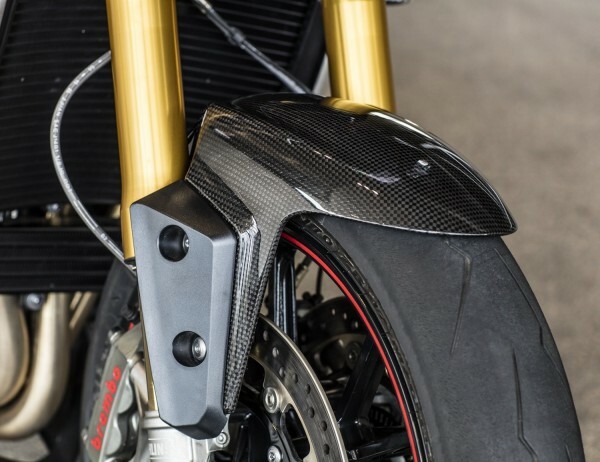 The performance spec Speed Triple R gets a new carbon fiber mudgaurd, carbon fiber fuel tank infill panels, performance suspension with Ohlins NIX30 upside down forks at front and TTX36 at the rear. Other parts like swingarm pivot covers and rear wheel finishers, billet-machined handlebar clamps, wheel pinstripes, radiator cowls and red seat stitching gives a contemporary street fighter feel. Watch the official video from Triumph below. EICMA 2015 : Suzuki SV650 is back! Electric Royal Enfield Bullet! Anyone? Kawasaki to launch 2014 Z800 in 3rd week of January 2014 !